In its it continual strive to put #AgentsFirst, Trafalgar understands that client demands and needs continue to evolve, so it’s important to stay one step ahead so these can genuinely be delivered. Therefore, Trafalgar conducted a research study* amongst travellers to ensure they’re providing agents exactly what their clients want with this new program. 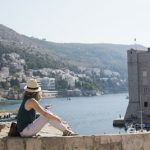 The research revealed that a staggering 89% of respondents said travel is enjoyable but stressful and difficult to plan, and 49% surveyed claimed that “real” travel experiences didn’t actually feel that real. 71% of travellers saw trips where they had new experiences as being more important than those where they visited all the sights. 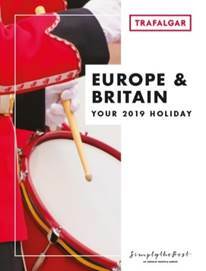 Each Trafalgar trip provides clients exactly what they’re seeking on holiday including real ease, as all the details are taken care of – combatting the stress of planning. Shamrocks and Leprechauns through Ireland is Trafalgar’s NEW Family Experience, which takes out the complexities of planning a family holiday, so everyone can relax and spend quality time together. Comfortable accommodation (including interconnecting rooms), meals for the palates of all generations as well as WIFI and USB equipped transport come as standard. The trip is also packed with activities that appeal to all ages and allow families time to bond, including visits to the home of the last-remaining leprechauns, an archery class at Winterfell Castle, a sheep farm on the Wild Atlantic Way where they’ll meet some of the smartest sheepdogs in the world as well as a trip to the Flying Boat Museum. Guests will also get to connect to Ireland’s rich heritage with their Stay With Stories, at the County Down’s Slieve Donard Resort and Spa, which features Victorian architecture and a stunning coastal landscape, showcasing the history and abundant beauty of the Emerald Isle. 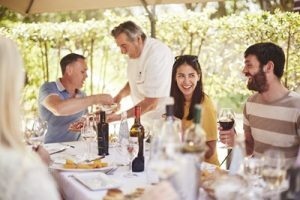 Trafalgar guests will experience real connections on each trip with a host of 103 signature Be My Guest experiences, where they’ll actually break bread with locals. On NEW Best of Croatia and Slovenia, guests will join a family in Croatia’s coastal town of Opatija for an exclusive dinner, experiencing Mediterranean flavours unlike any other and hearing stories of life in the Kvarner Gulf. NEW Treasures of Spain and Portugal will enamour clients with a traditional Andalusian dinner as they learn about producing olive oil with a Sangria in hand at the Morillo family’s estate. NEW Best of Poland is Trafalgar’s very first dedicated Poland itinerary, visiting top cities Warsaw, Gdansk, Toruń, Wroclaw, Zakopane, Kraków and Czestochowa. This is the perfect trip for history lovers who want to connect to the country’s rich routes, with visits to Warsaw Old Town and Auschwitz concentration camp. Guests will also visit The Living Museum of Gingerbread in UNESCO-listed Toruń, where they prepare dough and bake their own gingerbread in the Medieval Bakery as well as sampling local gastronomic delights (including salted and smoked sheep’s cheese) with a family in the Polish highlands. NEW Mykonos Island Extension (5 days) is the perfect addition to Trafalgar’s trips through the Mediterranean. Enveloped by the laid-back lifestyle of this Aegean Island paradise, guests will be exploring this sea of white, azure blue and cerise with either cocktail, shopping or camera in hand as Mykonos has something for every kind of traveller. NEW Santorini Island Extension (5 days) is a 5-day soiree through Santorini perfectly suited to sun-lovers. Clients will be amazed at the stunning sunsets of Santorini against the backdrop of whitewashed villages, creating memories that will linger long after they’ve made it home. Wine aficionados will also enjoy a half day wine tour that’ll have them enjoying local Assyriko vintages that can only be found in the world class Santorini vineyards. Clients can save up to 10% on trips with Trafalgar’s Early Payment Discount when they book and pay in full by 31 January 2019. Terms and conditions apply**.